SAN FRANCISCO – “My ex-husband tried to destroy my ability to work – but I refused to let him win,” said Sherri, a survivor of domestic violence who overcame her former spouse’s continual harassment and abuse that impacted both her workplace and her career. 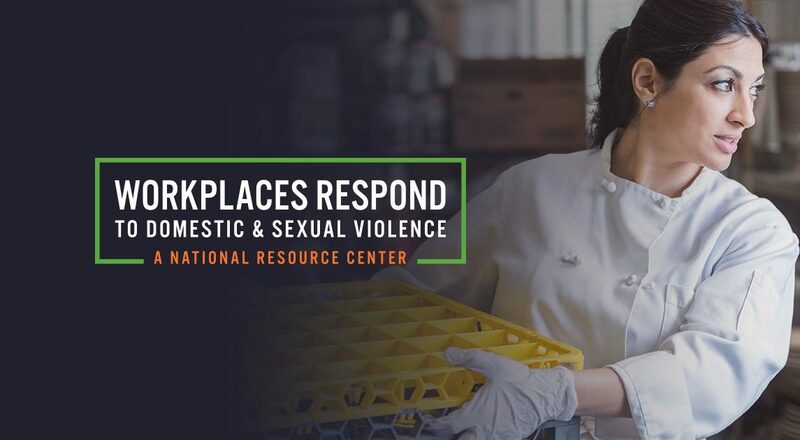 Sherri’s Story of Strength is among those featured at www.workplacesrespond.org, the newly re-designed website for Workplaces Respond to Domestic and Sexual Violence: A National Resource Center (Workplaces Respond). Futures Without Violence (FUTURES) is proud to unveil this significantly improved resource, which is authorized by the Violence Against Women Act (VAWA), on the 23rd anniversary of VAWA’s enactment. Workplaces Respond, spearheaded by FUTURES in partnership with the U.S. Department of Justice Office on Violence Against Women, was established by the 2005 VAWA reauthorization to educate, train, and empower employers, survivors, co-workers, advocates, labor unions, and worker centers to prevent and appropriately respond to domestic and sexual violence, trafficking, and stalking impacting workers and the workplace. As part of VAWA’s broader mandate to develop programs, policies, and practices aimed at ending domestic violence, dating violence, sexual assault, and stalking, Workplaces Respond’s re-designed website is the centerpiece of a wide array of outreach, trainings, and technical assistance offered to workplace stakeholders throughout the country. Over the course of twelve years, FUTURES and its partners have continuously enhanced available resources (including factsheets, reports, workplace tools, and awareness-raising materials) with the goal of shifting the culture of workplaces toward support, safety, and resilience. The new www.workplacesrespond.org was designed and built by Wide Eye Creative.